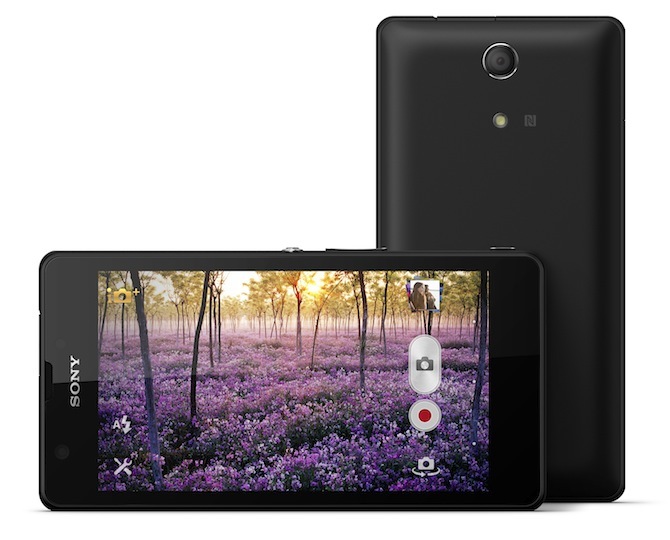 Sony Mobile today has announced the latest addition to its Xperia line-up, the Xperia ZR. From the outside, this new Android smartphone can very well be considered as a slight upgrade of previously release Sony Xperia Z. But what sets it apart from the said device is the fact that the Xperia ZR boasts of having a high level of water resistance. Well-fitted for those of you who brings along your smartphone when you go out swimming, diving or snorkelling, the Xperia ZR eliminates the need to purchase those expensive, water-proof cases anymore. The Xperia ZR can withstand submersion into water down to 1.5meters. What’s good about it though is that, the handset is equipped with powerful 13MP camera that can capture high-resolution videos in full 1080p HD quality as well as photos. So, you can document what you see underwater using this device. It even has a dedicated camera key to lets you use the camera even when the phone is in lock-screen mode. Aside from being a water-resistant device, the Xperia ZR was said to have been precision-crafted to handle whatever life throws at it. As such, it is also dust-resistant. And if you’re into specifics, the device is said to be IP55 and IP58 compliant. And to make sure that you’ll be able to use the phone continously, the Xperia ZR features Battery STAMINA mode that improves standby time by four times or more by way of automatically shutting down apps that drain battery life. This happens when the phone’s screen is off. The phone starts up the apps as soon as the screen is turned back on. Aside from being a ruggedised, outdoor smartphone, the Xperia ZR is also a mobile entertainment device. It features a 4.6-inch HD Reality Display powered by Sony’s Mobile BRAVIA Engine 2. This simply means that the device can deliver beautiful high quality viewing experience especially when paired with OptiContrast, a panel that reduces reflections and provides clearer viewing even in bright sunlight. Additionally, the Xperia ZR is also loaded with various entertainment apps such as WALKMAN, Album and Movies. These apps enable discovery of online and offline content through a single access point. For its processing power, the Sony Xperia ZR is equipped with a Qualcomm Snapdragon S4 Pro quad-core 1.5 GHz processor with 2GB RAM. The handset is 4G LTE-capable and it will be available in black, white, pink and mint designs. The Sony Xperia ZR will be available sometime in Q2 2013. No words yet on its pricing.